Each of the ten originals on this remarkable CD is a gem in its own right, featuring a zesty blend of inspired individual performances, a band chemistry that is both controlled and explosive, and Beaney’s distinctive compositional touch. The combination of these seasoned New York area musicians is a winner, as demonstrated in the variety of styles presented on this album–with each track more surprising than the last. The ensemble work is excellent, and fine solo work is evident throughout as well, particularly in soaring improvisations from trumpeter Chris Pasin, saxophonist Jeff Schiller, and guitarist Al Orlo. Drummer Mark Dodge provides a backbone that is both unwavering and exquisitely tasteful, while keyboardist Beaney and bassists Steve Wexler and Kip Sophos supply solid underpinning and take smooth solo turns as well. There is even a guest appearance by the excellent Uptown Horns on one track (“Get Going!”)–and, together with Pasin and Schiller, the six horns combined may make you think you are hearing a big band. 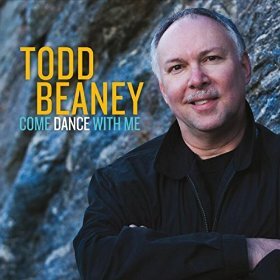 “Come Dance with Me” is a welcome new offering of contemporary jazz-rock. Fans of instrumental jazz will find it both intriguing and infectious!